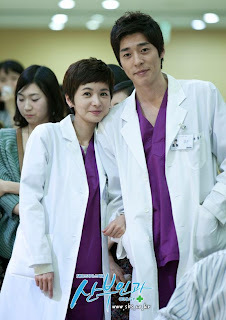 Yes I'm shipping this couple even if there's no hope for Dr.Wang. C'mon when you see the first two actors in the credits you'll know that they will be paired up and the third guy that will appear in the credits is the third wheel. 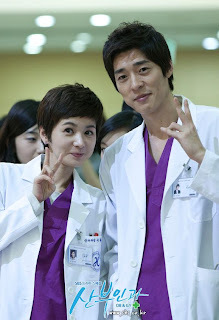 And whoever has the screening time the most is the main lead and Dr. Wang is definitely not that guy.. Too bad, his character is so great for Dr. Seo but then again I wouldn't trade friendship with love but if God allows I won't stop it.. but really if they become lovers then there is no assurance that they will be until the end but friends last forever. It's really a hard situation if you think of it carefully if you cross the line of loving your friend it will always leave a mark... naah I don't know, Seo Ji Seok is so handsome to snob him. 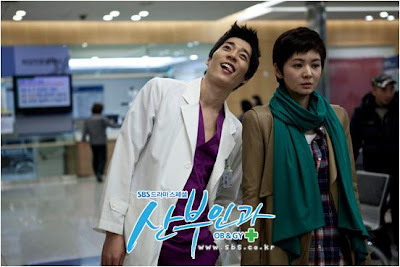 I love how he handles the situation when he found out about Dr.Seo's pregnancy.. he didn't make her feel suffocated and let her decide for herself but he also reminded her of his principles and that he's not compromising but he's being a friend that respects her decision.. And he did tell her that if he needs a father for the baby he can also be counted for that.. love that part!